I am shocked--Shocked!--to find Stegron on your list. A guy made of the universe? With a typically Ditkoesque mantle with an elaborate collar? They don't come half as awesome as Eternity. 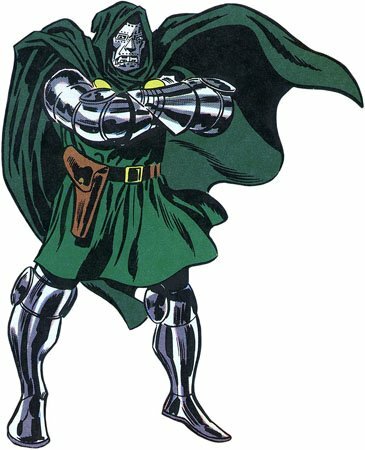 Probably my favorite Marvel character, but that's not why he made this list. First of all, the armor; think The Man in the Mask in the whole body armor. I read this story a loooonnnng time ago thanks to my cousins (they had a massive collection of Silver Age DCs). I remember being enchanted by Alvit, who looks like a Valkyrie but is really from the farflung future. 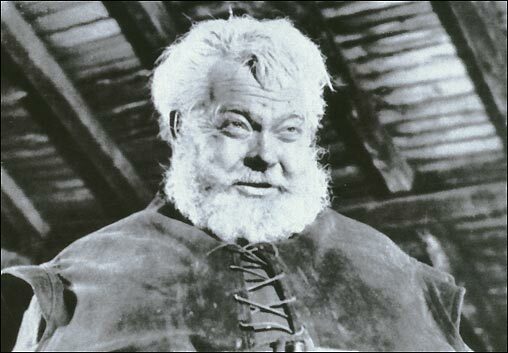 The story contained several Norse mythological references. I was probably already aware of Greek and Roman mythology/gods, etc., but she was my introduction to Norse mythology (I started watching the Thor cartoons came a bit later). Anyway I loved her look: the winged helmet; the gauzy cape and sarong; the green bodysuit; the flowing hair--no one has ever inked hair texture better than Anderson IMO. ETA: How do you like that "Scooter will send you" blurb in the third panel--DC, how could you?!? Now I hadn't seen the Hawkman issue in decades but thanks to the TwoMorrows Murphy Anderson book that I bought a few years ago, which contains the image below, I was able to determine which issue this story appeared in. I read this story a loooonnnng time ago thanks to my cousins (they had a massive collection of Silver Age DCs). I remember being enchanted by Alvit, who looks like a Valykrie but is really from the farflung future. The story contained several Norse mythological references. I was probably already aware of Greek and Roman mythology/gods, etc., but she was my introduction to Norse mythology (I started watching the Thor cartoons came a bit later). Anyway I loved her look: the winged helmet; the gauzy cape and sarong; the green bodysuit; the flowing hair--no one has ever inked hair texture better than Anderson IMO. That's picture is incredibly well drawn and gorgeous everything ... I'm dumbfounded why I miss her! ... I read many issues of Hawkman in the Silver Age and how I've missed this! Great Pick!!! ... Murphy Anderson in his very best here!!! Thanks MechaGodzilla1974, glad you like it . That large panel is glorious, isn't it? 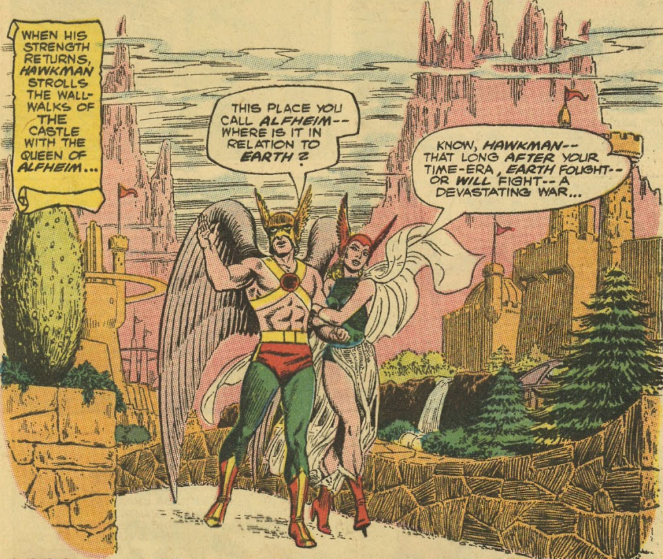 Farrar, I thought I had sent this post earlier, so forgive me if I did, but that Hawkman art looks like Murphy Anderson channeling Hal Foster. Beautifully, meticulously illustrated. (Can't call it "drawn.") Excellent choice! Farrar , I thought I had sent this post earlier, so forgive me if I did, but that Hawkman art looks like Murphy Anderson channeling Hal Foster. Beautifully, meticulously illustrated. (Can't call it "drawn.") Excellent choice! You put it so well (as you always do). I totally agree. It's exquisite work. Another late drop from my list might go through the entire 12 Days without seeing Kraven. So glad that turned out not to be the case. the only thing that bugs me about Kraven's costume is those spikes on his belt. Not terribly practical unless you are planning to hug your foes to death.